Our product range includes a wide range of pharma franchise in faizabad, pharma franchise for auraiya, pharma franchise in sambhal, pharma franchise in budaun, pharma franchise in hardoi and pharma franchise in panchmahal. J. M Healthcare (P) Ltd company engaged in manufacturing & marketing of Pharmaceutical Formulations e.g.Tablets, Capsules, Liquids, Dry Syrups, Nutraceutical, Herbal, various advanced specialty Injectable products and World Class Packings (ALU-ALU) which interest Medical Fraternity. 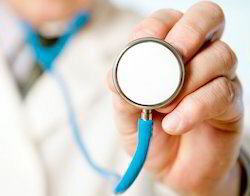 Pharma Franchisee In Uttar Pradesh WeJ. M Healthcare (P) Ltd,are one of the prominent suppliers of a wide range of Pharmaceutical Drugs. Our wide range includes Capsule, Soft gels, Tablets and Syrups. These are acknowledged for salient features such as purity, environment friendly and accurate composition. We welcome Qualified and experienced individuals as well as Corporates from Uttar Pradesh to become our associates through PCD / Franchise. We offer to them good quality medicines at the most competitive rates in India.We are looking for franchisee of our products in Moradabad through PCD Pharma Franchise and Pharma Franchise. We are interested in giving pharma franchise. Please contact us will give you the best rates and timely delivery and Best product quality and Packaging. J. M Healthcare (P) Ltd is looking for dedicated and experienced parties to work as Pharma Franchise based distributors for our wide range of products throughout the country. 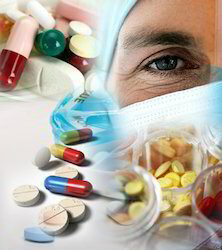 We, J. M Healthcare (P) Ltd. are chandigarh based pharmaceutical company. we deals into all kind of allopathic and ayurvedic medicine. 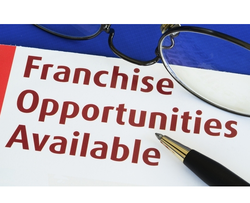 We are looking for PCD-Franchisee based distributors for wide range of products in all states of india. We are the fast growing pharmaceuticals organization having corporate office in Manimajra (Chandigarh), India. We deal into all kinds of pharmaceuticals products that help in curing various kinds of aliments and improving immunity of the body. We Provides all promotional Inputs like Visual Aid Folder, Samples,Literatures etc. We are looking for Pharma franchisee of our entire product range India. Our company supplies the stock to clients as per the latest price list. Our company supplies the stock to clients and dealers “on To pay” basis and the mode of payment include:cash and cheque. Kindly contact us for franchisee of our product range. We ,J. M Healthcare (P) Ltd are one of the prominent Manufacturers, Suppliers & Distributer of a wide range of Pharmaceutical Drugs. Our wide range includes Capsule, Soft gels, Tabletsand Syrups. These are acknowledged for salient features such as purity, environment friendly and accurate composition. We welcome Qualified and experienced individuals as well as Corporates from Gujarat to become our associates through Pharma PCD & Franchise. We offer to them good quality medicines at the most competitive rates in India.We are looking for Pharma Franchisee of our products in Panchmahal. We are looking for Pharmaceutical Distributors, Pharmaceutical Marketing Services, Pharma PCD & Pharma Franchise in various locations in India. WeJ. M Healthcare (P) Ltd,are one of the prominent suppliers of a wide range of Pharmaceutical Drugs. Our wide range includes Capsule, Soft gels, Tablets and Syrups. These are acknowledged for salient features such as purity, environment friendly and accurate composition. We,J. M Healthcare (P) Ltd.,are one of the prominent suppliers of a wide range of Pharmaceutical Drugs. Our wide range includes Capsule, Soft gels, Tablets and Syrups. These are acknowledged for salient features such as purity, environment friendly and accurate composition. We are the fast growing pharmaceuticals organization having corporate office in Manimajra (Chandigarh), India. We deal into all kinds of pharmaceuticals products that help in curing various kinds of aliments and improving immunity of the body. We are looking for franchisee of our entire product range India. Our company supplies the stock to clients as per the latest price list. Our company supplies the stock to clients and dealers “on To pay” basis and the mode of payment include:cash and cheque.